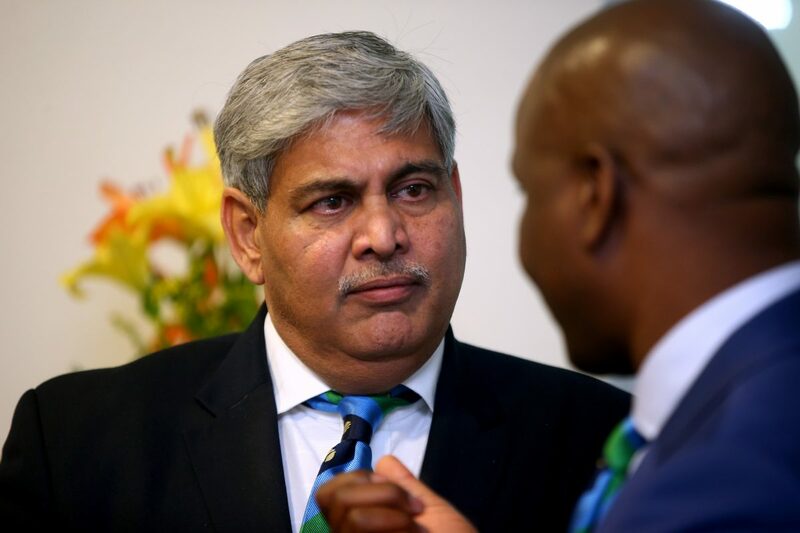 The ICC Board meetings concluded in Cape Town on Friday with ICC Chairman Shashank Manohar wrapping up the week of committee meetings with a full ICC Board meeting. He said: “We have had a productive week working with our Members for the long-term benefit of cricket. We are continuing our work on the whole ICC governance structure, including the revenue share model, and I expect a proposal to go to our board next year. The ICC Board considered a proposed governance structure prepared by the USA Sustainable Foundation Advisory Group, together with USACA’s comments and approved a modified version for incorporation by USACA. The proposed governance structure, which also includes a new board structure with representation from across the cricket community, independent directors and elite players, is aimed at unifying the sport in the USA. The governance structure and underlying constitution will now be shared with USACA who will be requested to approve its implementation by 15 December 2016. ICC Chairman Shashank Manohar said: “We have spent considerable time working towards the unification of the USA cricket community and making USACA compliant with the reinstatement conditions imposed by the ICC Board in June 2015. Cricket Australia, hosts for the men’s and women’s ICC World Twenty20 in 2020, proposed holding the women’s tournament as a stand-alone event six months ahead of the men’s edition. The ICC Board approved this request considering it a big step forward for the women’s game in a market where there is a clear appetite for women’s cricket given the success of the WBBL. Chairman of the ICC Governance Committee and Cricket Australia David Peever said: “Women’s cricket is undoubtedly gaining in popularity around the globe and we felt that by separating the two events we could accelerate that growth. Work continues on the future governance structure of the ICC, including the revenue sharing model, and a comprehensive proposal is expected to go to the ICC Board early in 2017. There was further discussion around the structure of international bilateral cricket as members collectively aim to bring greater context across all three formats of the game with more progress made. Further work will be undertaken around scheduling before a full proposal for consideration will go to the ICC Board in February. The PCB made a request for a special assistance fund to be allocated to Pakistan in light of its financial issues related to not being able to compete at home. The ICC Board, on the recommendation of the Financial and Commercial Affairs Committee, agreed that some form of assistance will be provided and the matter will be discussed with PCB going forward. The ICC Board also approved further payments of $500,000 to Ireland and Afghanistan, repeating the additional ICC investment of 2016 to stage more ODIs and T20Is. $250,000 will also be given to each of the other Associate Members with ODI and T20I status for the same purpose. This investment is to continue to increase the number of competitive teams on the world stage and comes on top of their existing member distribution. Going forward, it was agreed that a policy be developed as part of the governance review under which future requests will be considered. The ICC Chief Executives’ Committee approved an application from Cricket Ireland to award first-class status to Ireland’s domestic competition the Inter-Provincial Championship and by extension to its Inter-Provincial ODI and T20 competitions. ICC Chief Executive David Richardson said: “Cricket Ireland’s Inter-Provincial Championship is well structured and provides a clear pathway for players from under-age through to inter-provincial to the national team. The ICC Board approved a proposal for Uganda to host the ICC World Cricket League Division 3 in 2017 subject to ICC management being satisfied as to necessary security arrangements being put in place and operational costs being reduced.